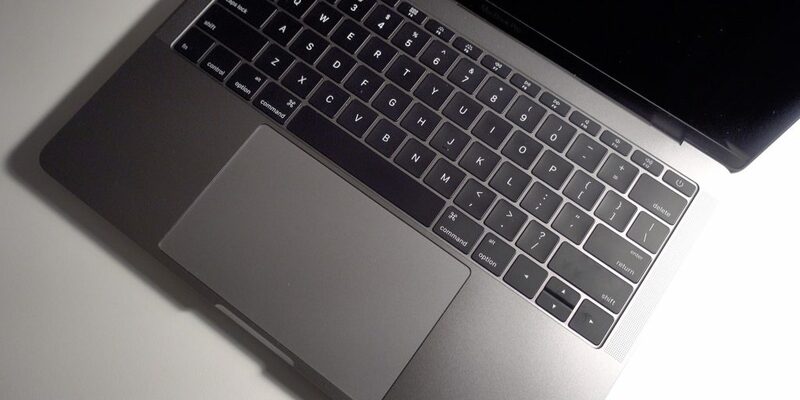 Previous report said law students who have bought the 2016 MacBook Pro with Touch Bar must disable the Touch Bar functions when attending the bar examination 2017, because Touch Bar can predict text according to the words typed in. During the exam, the Bar Examination Committee will disable MacBook Pro from accessing the Internet, apps and files, but Touch Bar on MacBook Pro can break these restrictions, that’s why Touch Bar must be disabled. ExamSoft, the company that provides exam management solutions, said that Touch Bar’s text prediction will effect the completeness of the exam. Let’s see how to disable the text predction of Touch Bar on MacBook Pro. In the Keyboard window you can see two drop-down menus. In the first drop-down menu (Multi-Touch Bar), select Unfolded Control Strip. In the second drop-down menu, select Display F1, F2, etc. After finishing the above settings, you will see the Touch Bar displays default function keys. The text prediction can be restored anytime it’s needed. Recently two Mac malware respectively called “MacSpy” and “MacRansom” which attack through MaaS and RaaS have been discovered on Dark Web. They both came from the same malware developer, but security companies Fortinet and AlienVault thought the developer is inexperienced, pointing out that the malware don’t have digital signature file, which means macOS that has protective measures can detect them and send alerts. 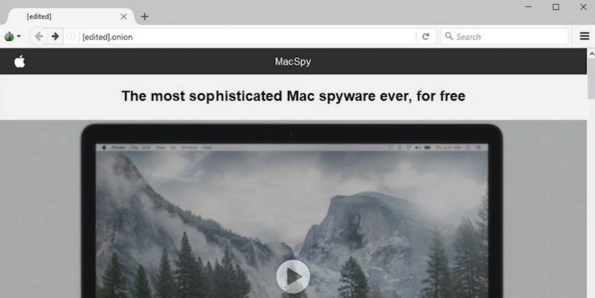 Researchers called MacSpy a “better coding tool”, MacRansom is a more dangerous malware due to its ability of permanently destroying users’ files. Fortunately, MacSpy and MacRansome haven’t spread widely, because the developer requires contact from customers for direct price negotiation. Meanwhile, Mac security researcher Patrick Wardle said Internet criminals have been focusing on Mac more and more. Researcher Ruben Dodge said that users of macOS and iOS need to be much more careful, because it’s very likely they will be targets of hackers. Despite that fact that MacSpy and MacRansom haven’t infected many computers, there can be a very powerful malware awaiting in the near future. Although Mac computer is considered safer than Windows PC, but lately the number of outlaws targeting Mac is growing. At Apple WWDC in 2017, the new macOS launched as expected, but it’s called macOS High Sierra, not the names of scenic spots in States as we guessed. 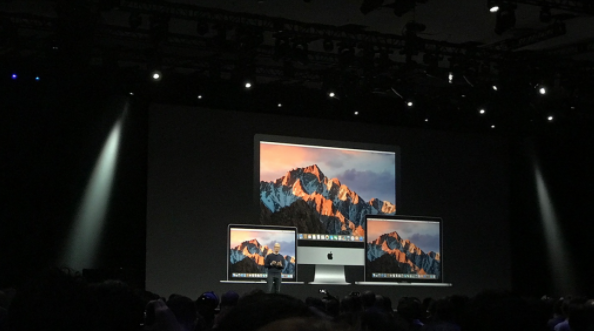 Starting from last year, macOS Sierra no longer supports Mac devices produced in 2007, 2008, and 2009. Apple said that Mac’s software update cycle will be closer to the hardware update cycle. So the launch of High Sierra doesn’t mean those old machines won’t be supported, which did surprise many users. But since currently Mac hardware update frequency has been greatly lowered, many old type of machines still have their value. Although old devices will not support every feature of the new system, many users won’t be worried their devices may lose Apple’s support due to this update. Apple has rolled out the first beta of macOS 10.12.6 for developer testing. This update is likely for bug fixing and security improvements. Releases notes for the update can be seen by developers through the Mac App Store, but no specific focus areas are mentioned. One day after the public release of macOS 10.12.5, which was previously only available for developers and public beta testers, the first beta of macOS 10.12.6 was released. Now registered developers can download macOS 10.12.6; a public beta version may be released shortly. We will update if any features are discovered in the new update.